From 1 January 2018, it is required to pay road toll for all heavy goods vehicles that weigh of over 3.5 tonnes and are used in the network of public roads. The toll rate depends on the total weight of the heavy goods vehicle (category N2 and N3) and its trailer, the number of axles, and the emission class of the heavy goods vehicle. 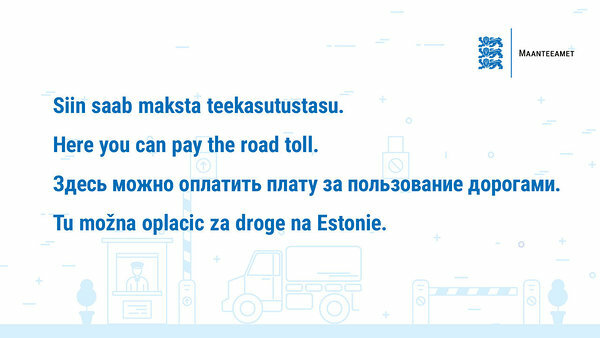 The payment of road toll is the responsibility of the owner of the heavy goods vehicle. If the user who is responsible for the heavy goods vehicle has been entered in the traffic register, the payment of road toll will be the responsibility of the responsible user. SEE MORE INFORMATION HERE (RUS, ENG)!